Last week I showed you my new favorite pants, so this week it seems fitting to introduce you to my new favorite sweater. Some of my best purchases from Anthropologie have been items customers have returned from online. 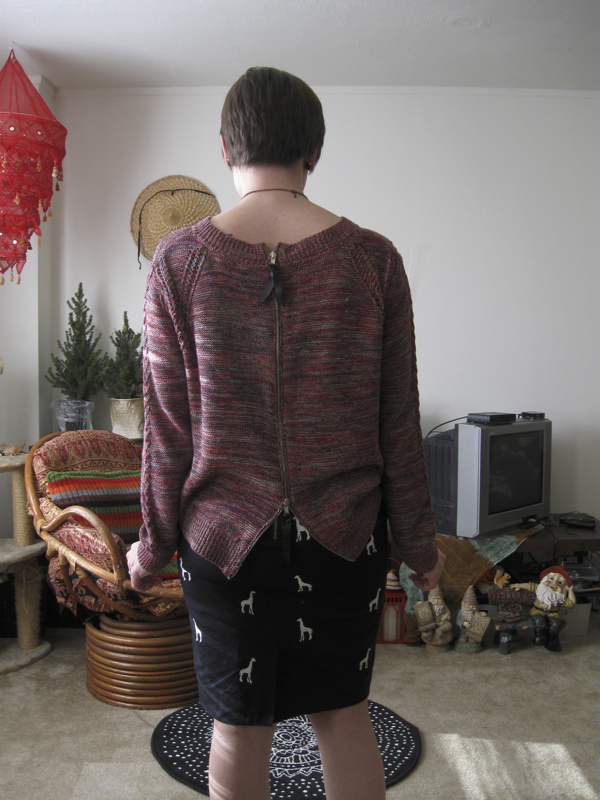 This sweater fell into my hands sometime in November and at first I wasn't so sure I liked it. I thought the fit was awkward and I didn't think it would go with anything in my closet. But one of my colleagues convinced me otherwise and I ended up purchasing it... and it's probably the sweater I've worn the most out of any of the ones I've bought over the last few months! Actually, that's been the case for all the purchases I've hesitated over... they've ended up being my favorite pieces. 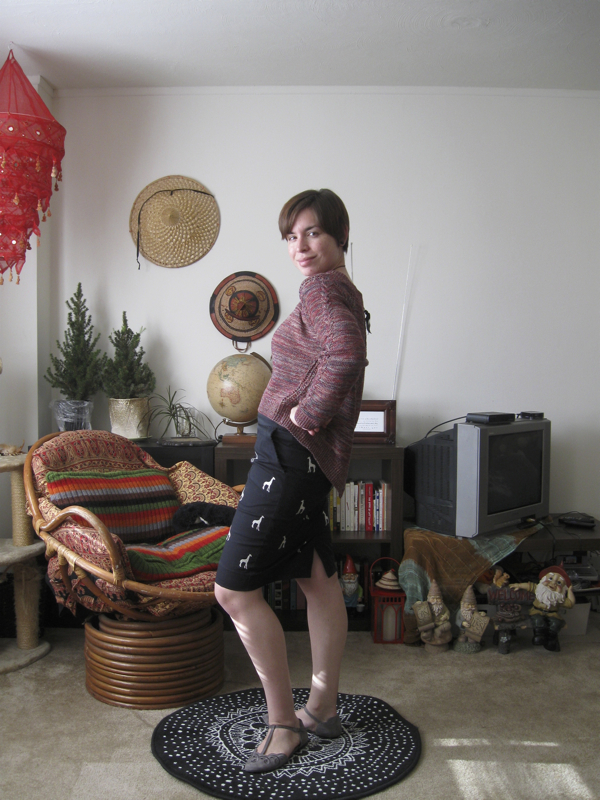 Also, my love for this skirt knows no bounds. It was yet another returned item that I snatched up as soon as I saw it - lucky for me it was exactly my size. Yes! 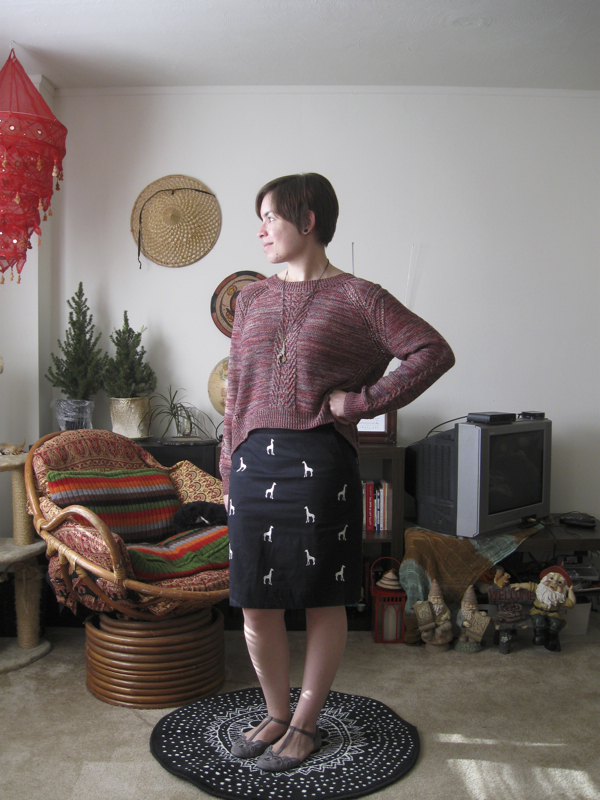 I love that sweater & the giraffe skirt!